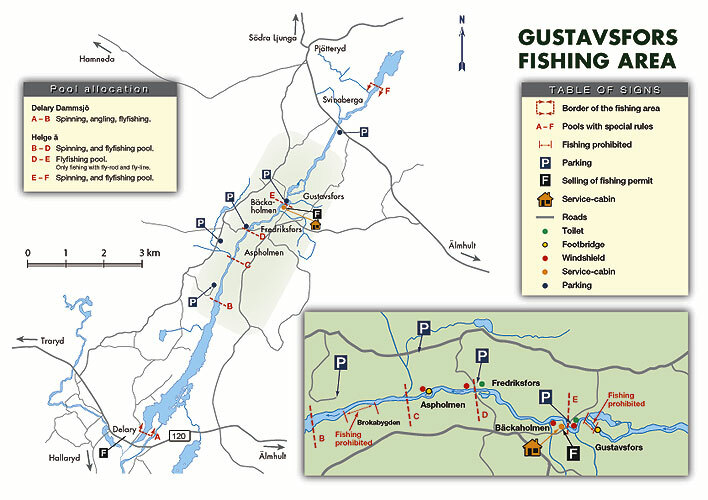 Gustavsfors fvo is situated just outside Älmhult in southern Småland, near to the west, east and south coasts. The coordinates to the permit vending machine are: 56.60593, 14.01932 or N 56° 36.356’ , E 14° 1.159’ . Click on the coordinates to bring up Google Maps, or charge your GPS with the coordinates.